Bundle 2 How does a change in thermal energy affect matter? Water boils when heat is added. Precipitation only occurs when there are clouds in the sky. Some parts of the world get lots of precipitation; others get almost none at all. Climates near the equator tend to be warmer than climates near the poles. The concept that substances are made from different types of atoms, which combine with one another in various ways (PS1.A as in MS-PS1-1), connects to the ideas that gases and liquids are made of molecules or inert atoms that are moving about relative to each other, and in a solid, atoms may vibrate in position but do not change relative locations (PS1.A as in MS-PS1-4). In science, heat refers to the energy transferred due to the temperature difference between two objects (PS3.A as in MS-PS1-4); this connects to the idea that temperature is a measure of the average kinetic energy of particles of matter (PS3.A as in MS-PS3-3). These ideas also connect to the concept that the amount of energy transfer needed to change the temperature of a matter sample by a given amount depends on the nature of the matter, the size of the sample, and the environment (PS3.A as in MS-PS3-4). These concepts of energy transfer connect to the idea that the ocean exerts a major influence on weather and climate by absorbing energy from the sun, releasing it over time, and globally redistributing it through ocean currents (ESS2.D as in MS-ESS2-6), which in turn connects to the idea that global movements of water and its changes in form are propelled by sunlight and gravity (ESS2.C as in MS-ESS2-4). 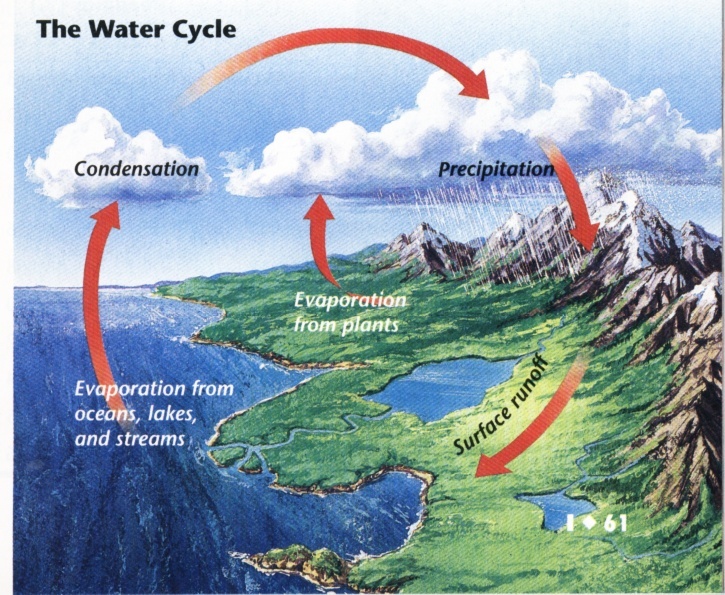 These concepts also connect to the idea that complex patterns of the changes and the movement of water in the atmosphere, determined by winds, landforms, and ocean temperatures and currents, are major determinants of local weather patterns (ESS2.C as in MS-ESS2-5). The idea that the iterative process of testing the most promising solutions and modifying what is proposed on the basis of the test results leads to greater refinement and ultimately to an optimal solution (ETS1.C as in MS-ETS1-4) could connect to several concepts, such as energy is spontaneously transferred out of hotter regions or objects and into colder ones (PS3.A as in MS-PS3-3) and weather and climate are influenced by interactions involving sunlight, the ocean, the atmosphere, ice, landforms, and living things, and these interactions vary with latitude, altitude, and local and regional geography (ESS2.D as in MS-ESS26). These connections could be made through tasks such as designing a solar cooker or a device designed for a specific location and is used to harness energy for conversion to practical energy for human consumption such as electricity. For example, a wind-powered electrical generator would be effective and practical in some locations but not in others. In both tasks, students need an opportunity to test solutions to identify the most promising and then modify those to optimize their solutions. Instruction leading to this bundle of PEs will help students build toward proficiency in elements of the practices of planning and carrying out investigations (MS-PS3-4 and MS-ESS2-5), developing and using models (MS-PS1-1, MS-PS1-4, MS-ESS2-4, MS-ESS2-6, and MS-ETS1-4), and constructing explanations and designing solutions (MS-PS3-3). Many other practice elements can be used in instruction. Instruction leading to this bundle of PEs will help students build toward proficiency in elements of the crosscutting concepts of Cause and Effect (MS-PS1-4 and MS-ESS2-5), Scale, Proportion, and Quantity (MS-PS1-1 and MS-PS3-4), Energy and Matter (MS-PS3-3 and MS-ESS2-4), and Systems and System Model (MS-ESS2-6). Many other crosscutting concepts elements can be used in instruction. ● Scientific explanations are subject to revision and improvement in light of new evidence. ● Explanations of stability and change in natural or designed systems can be constructed by examining the changes over time and forces at different scales, including the atomic scale. ● Conduct an investigation and/or evaluate and/or revise the experimental design to produce data to serve as the basis for evidence that meet the goals of the investigation. 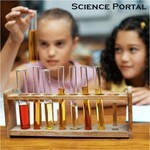 ● Science is both a body of knowledge and the processes and practices used to add to that body of knowledge. MS-ESS2-5 Collect data to provide evidence for how the motions and complex interactions of air masses result in changes in weather conditions. ● Critically read scientific texts adapted for classroom use to determine the central ideas and/or obtain scientific and/or technical information to describe patterns in and/or evidence about the natural world. ● The transfer of energy can be tracked as energy flows through a designed or natural system. 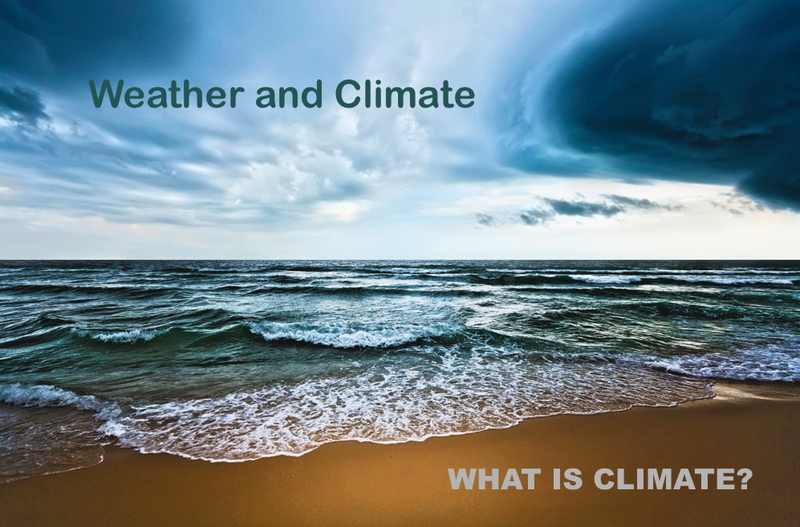 MS-ESS2-6 Develop and use a model to describe how unequal heating and rotation of the Earth cause patterns of atmospheric and oceanic circulation that determine global climates. ● Define a design problem that can be solved through the development of an object, tool, process, or system and includes multiple criteria and constraints, including scientific knowledge that may limit possible solutions. ● Use graphical displays (e.g., maps, charts, graphs, and/or tables) of large data sets to identify temporal and spatial relationships.